The calendar page flips to a new year and the clatter reaches a fever pitch. It’s all really much ado about nothing because in the end, nothing is exactly what happens. You spend a few days or weeks with well intentioned fervor aimed at making your life everything you’ve ever wanted it to be. THIS will be the year that you will nail down the goal that eludes you time and time again. Or will it? The idea of preparing and planning pulls me in yet the cynic in me knows that ultimately it won’t all come together the way I’d like it to. So, this year I’m taking a different approach. There are no resolutions being made over here. Just me, talking with God and planning an intentional life one step at a time. After reading the ideas, questions, prompts and plans put out by many others, I have come up with my own method…forging my own path….and why not? #1 – PRAY and LISTEN: I just don’t see planning for anything, let alone a new year, without bathing the process in some prayer, listening and serious time with God. I’m not suggesting that you put everything on hold and freeze until you get some major download or writing across the sky. What I am doing (and suggesting you do too) is holding up the things my that make my heart quicken and asking if I should proceed. I’m investigating the paths I’m on to see if any turns are required. There are words that have been rattling around my heart that will become my themes for the year. I will use them as filters for decision making as well as paths to pursue. My One Word: Jesus. He is asking me to practice dependence in Him. Have you heard of One Word? Check it out here. #2 – LOOK BACK and FORWARD: A little analysis is a good thing. Looking back and reviewing the previous year will show you anything that has been left undone that you want to carry forward or perhaps people, projects or attitudes that you need to leave behind. Gratitude for all that God has done in the last year is also a wonderful way to spend some time. Of course, we also want to look forward. I asked Darren (and myself) several questions but one of my favorites was…What do you want more of in this next year? More growth in a certain area, more people, more Jesus, more rest, more fun? 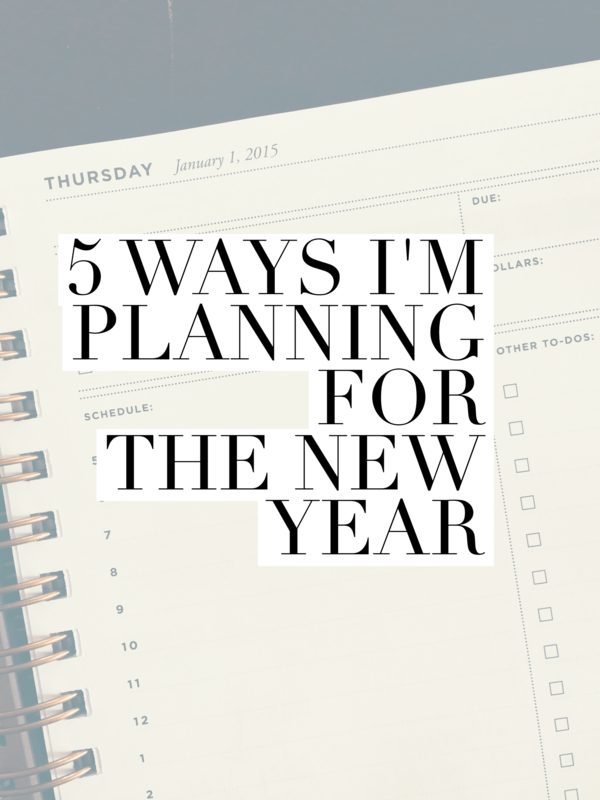 What I want more of this year: I want to gather people more than I did last year. Having people in my home is something I love and have gotten away from. I want more of it and will plan to make that happen in 2015. #3 – TAKE your TIME: I’m not rushing this process. There is nothing that says that I need to know everyplace I’m going in 2015 on January 1st. I’m giving myself a few weeks to get my head and heart around what I endeavor to do this year. And even then it won’t be set in stone. God alone knows what the coming days hold for me so I will hold loosely to my goals and dreams and tightly to Him. #4 – THINK in CHUNKS: You aren’t going to overhaul your life all at once…you just aren’t so get past that thought. You could however make a simple tweak to your eating habits, decide to pick up a book on a regular basis or do something consistently for the foreseeable future. As I started writing down some plans last night I only looked at January through March. When I start thinking of doing something for an entire 12 months I get uneasy and feel defeated before I even start. My brain simply can’t do grandiose, giant plans and promises. 3 months is reasonable and doable and that is where I started. Another way to think about it is to break it down by different areas of life instead of time. Perhaps your focus will be on your spiritual health…physical health…your marriage or work relationships. Just promise me that you won’t try to do everything all at once. 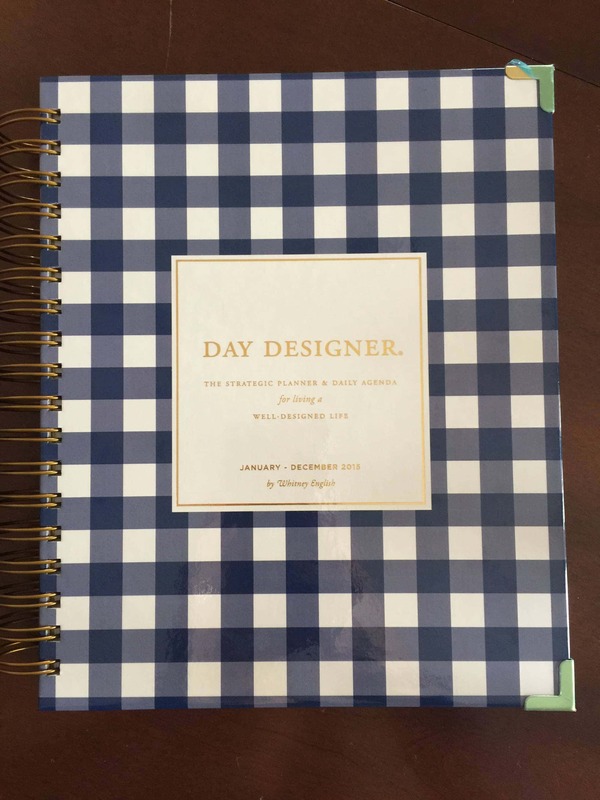 Use a fun planner. I’m using the Day Designer this year. Manage your energy…not just your time. I talked about planning your days HERE. HERE. HERE. #5 – Once you have a bigger picture, plan backwards to make it happen: In my life I have done this simply by making very small changes that turn into new habits and then building on them. Break down activities by what needs to happen monthly, weekly and daily. Start small…short increments of time…simple changes…replace something you don’t want in your life with something you do…baby steps. Set yourself up for success by planning ahead and putting in place anything you can that will help you accomplish the goal! Here’s how I break it down: I want to make sure that I have a “real” supper available to my family 4 nights a week. This may mean I make a meal for that night or have good leftovers ready to eat. To ensure this happens I have pulled together a method of meal planning that works for me that I will be sharing with you soon. How can I help myself succeed? Have a plan…start getting dinner ready early in the day…make sure I keep common ingredients stocked…have a few fall back options in case something comes up…give myself GRACE and order a pizza when it just doesn’t work out. Let’s put a bow on this, shall we? Spend some time in prayer and listen to what God’s whispering to your heart. As you think, look backward and forward and give THANKS for all He has done. Give yourself the time you need for this part of the process and then as you begin to move forward think in chunks. You now have some big picture goals and motivations so break it down to bring those things into your life monthly, weekly and daily. Make this process your own. Take pieces and parts of my thoughts and the methods of others to make your plan uniquely YOU and to help you BECOME all God has created you to be. This podcast by the crew over at Hope*ologie was delightful and helpful all at once. It’s called The New Year Your Way.